Foto stock: Pão · mulher · fresco / Bread. 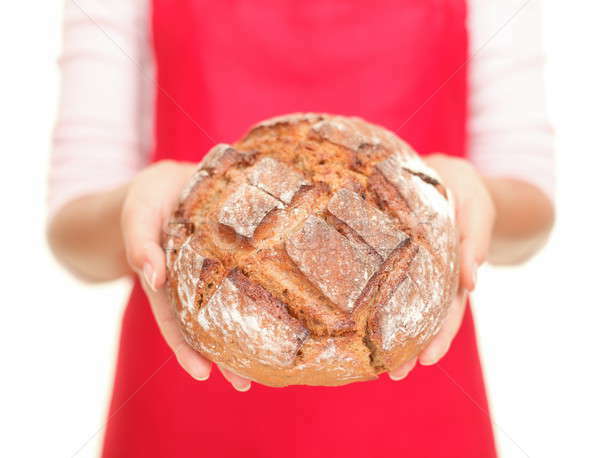 Closeup of woman showing fresh baked healthy whole grain bread. White background.